A growing body of research supports the health benefits of massage therapy for conditions such as stress, fibromyalgia, muscle tension, hypertension and more (American Massage Therapy Association). Find out how you can benefit from adding massage therapy to your health and wellness regimen. 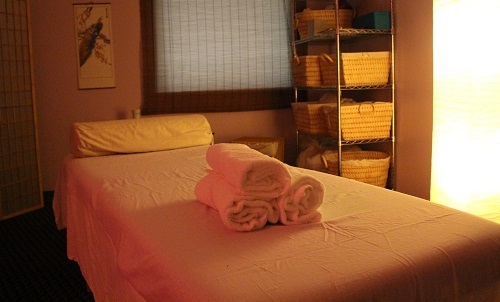 Our massage therapists are NYS licensed and insured. All are graduates of The Swedish Institute in NYS and are members in good standing of various state and national organizations. Focusing on deeper layers of muscle tissue, this therapy is used to release chronic muscle tension through slower and more direct deep pressure or friction applied across the grain of the muscle. Deep tissue helps break up and eliminate scar tissue, loosen muscle tissue, release toxins from muscles, and get blood and oxygen circulating correctly. Specific techniques can reduce pregnancy discomforts and concerns and enhance the physiological and emotional well-being of both mother and fetus. Sciatica, swelling, back and neck pain and stomach upset associated with pregnancy can be relieved. Specialized techniques to re-align body structure, improve physiological and emotional well-being of the new mother may be applied through this type of massage. Physician referral may be required. Gentle pressure is applied to areas of energy lines (Meridians) to improve upon one’s health by stimulating the body’s energy flow (Ki). Shiatsu is a specific treatment that incorporates the use of fingers, thumbs, palms, forearms, elbows, and feet. Sessions usually take place on mats placed on the floor. Sessions begin with gentle stretching and manipulation techniques to simulate the movement of energy and to relax and warm up the muscles. The benefits include stimulation of the circulatory, lymphatic and hormonal systems. Alleviate stress and tension that can build up in the body’s soft tissues during physical activity where minor injuries, adhesions and lesions occur. Help prepare the body for performance by relieving swelling, reduce muscle tension and fatigue, promote flexibility, increase circulation and prevent injury. Techniques used are often a blend of Swedish, Trigger Point, and/or Shiatsu. Trigger point therapy involves the applying of pressure to tender muscle tissue in order to relieve pain and dysfunction in other parts of the body. Through a series of sessions this type of massage will help relieve swelling and stiffness of neuromuscular pain, improve range of motion, and relieve muscle tension, improve circulation, greater flexibility and vestibular improvement. Relax. The application of gentle pressure to the muscle against deeper muscles and bones while rubbing in the same direction as the flow of blood returning to the heart will increases oxygen flow in the blood and release toxins from the muscles. Swedish massage helps in the recovery time from muscle strain, increases circulation, keeps ligaments and tendons supple, and stimulates the skin and nerves. This modality will help stimulate healthy functioning of the internal organs and eliminate toxins in the body. Specific pathways focusing on your head, hands and feet will help promote optimum health and relaxation. This specific type of massage deals with the healing process of the surgical repair of tissue. It will help prevent scar tissue from developing and help bring back strength, alignment, and help alleviate pain. This is my daughter’s 7th year at Kid’s Space. Kid’s Space has felt like a home away from home for Beth. The Y provides a caring and safe atmosphere that puts parents’ minds at ease.